In November 2015, Chancellor Rebecca Blank signed the Campus Compact 30th Anniversary Action Statement, which is a commitment to the public purposes of higher education. Their anniversary action statement concluded with a pledge to develop a Campus Civic Action Plan by March 20, 2017. 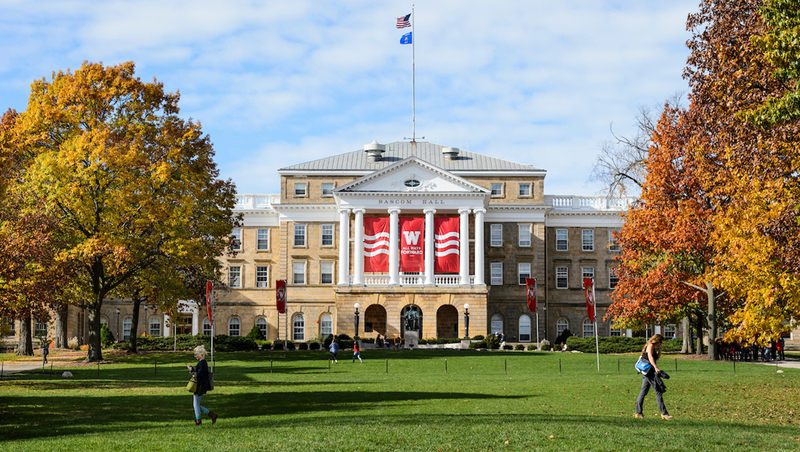 The Chancellor’s office identified the Morgridge Center for Public Service as the lead unit for developing this plan for the UW-Madison campus. The goal with creating the civic action plan was to identify ways to better support this work, eliminate barriers to it, and encourage new and inventive ways to conduct civic action and community engagement. The Morgridge Center recruited a committee of 16 campus and community members to put together this Action Plan over a 6 month period. The committee collectively interviewed more than 90 key stakeholders representing on- and off-campus communities while also collecting surveys from community members, faculty, staff and students. The following plan lays out the goals that have the most promise for cultivating and supporting a culture of engagement on our campus that contributes in a positive fashion to significant public problems and at the same time best prepares our students for a future of productive contributions to the broader public good. These recommendations are listed order of priority, starting with the most urgent and necessary based on stakeholder feedback. Ensure preparation of UW-Madison stakeholders for high quality community-engaged work and partnership (where higher quality means sustained, culturally sensitive and aware, collaborative and mutually beneficial with community partners). Address the lack of diversity of faculty, staff, and student body on UW-Madison’s campus, and increase the capacity of members of the campus community to work across difference. Institutionalize an emphasis on civic education throughout the curriculum. Institutionalize and publicize obvious entry points for community members and potential partners to access and connect with community-engagement activities occurring on- and off-campus. Ensure community leadership and wisdom is fully represented in University initiatives and work, especially in identifying issues to be addressed through community-engaged work. Institutionalize support for quality community-engaged work in traditional academic processes and departments. Invite university personnel who operate in off-campus settings to share their experiences and knowledge about community assets, interests and priorities, thereby creating a campus culture that values two-way communication with community and in which community-identified priorities are regularly given attention and addressed. Catalogue the amount and level of university engagement in Wisconsin, to better understand and manage activities in Dane County versus other counties. Support innovative models of community-based learning and student engagement that create sustained partnerships and sustained student engagement that complement the common/typical one semester course (university-centered) time frame.